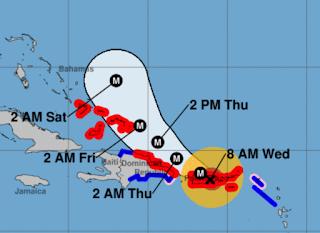 The eye of Maria is just southwest of San Juan. As feared, the storm took the worst possible path. As meteorologist Pam Knox said about this process a couple of weeks ago: Being a meteorologist during these hurricanes is like being a passenger on the Titanic and seeing the iceberg ahead." The storm made landfall at 6:15am AST/EDT. 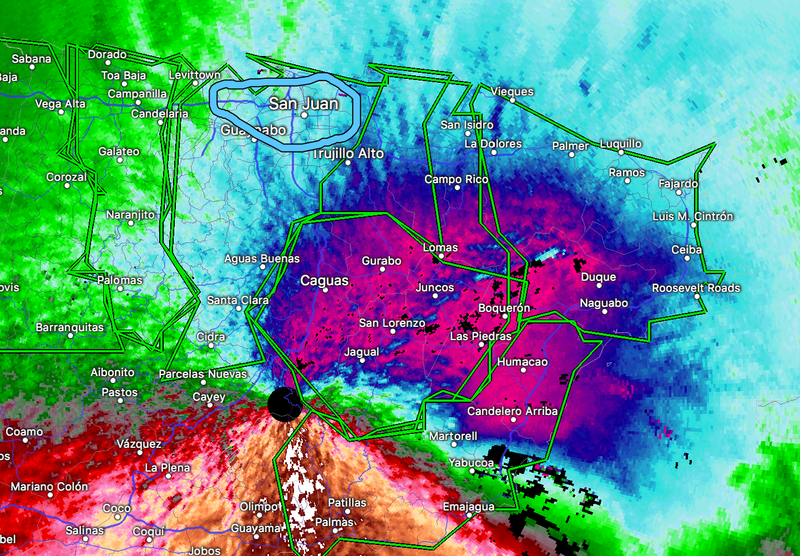 The winds ahead of the eye caused both radars on the island to fail. Here is what the wind pattern looked like on the last image. 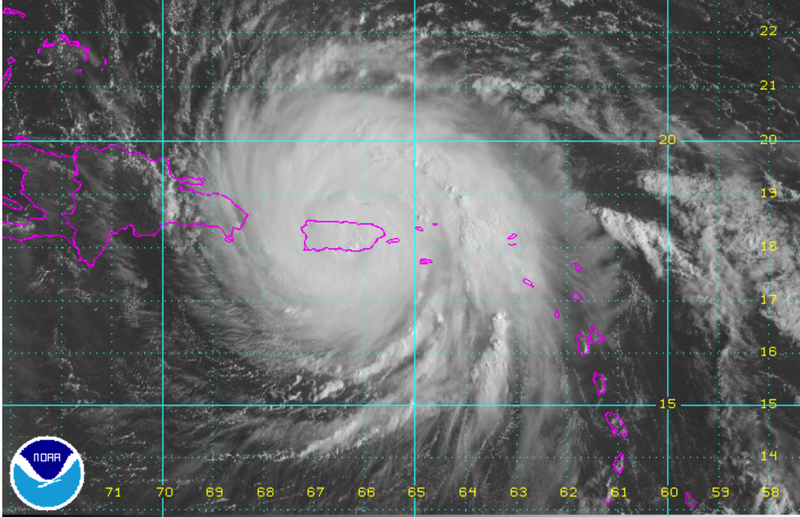 San Juan circled at top. The radar shows widespread winds above 120 mph. Highest sustained winds were estimated at 155 mph. Now that the storm has traveled over land, the winds are estimated near 140 mph near San Juan (no radar image available). The latest satellite image is below. This is an utter catastrophe for St. Croix and Puerto Rico. They are going to require immediate and effect help that is going to cost a great deal of money.